Panting syndrome and respiratory infection have been recorded in complicated cases of foot and mouth disease (FMD) in cattle. However, investigations on the causative agents of respiratory disease in such cases are scarce. In this study, 30 animals (13 buffalo and 17 cattle) suffering from respiratory distress associated with signs of FMD were examined. Serum samples were collected and FMD infection was confirmed. Bacteriological examination of lungs from eight necropitized cases revealed the presence of C. perfringens. Multiplex polymerase chain reaction (mPCR) was performed on the positive samples followed by sequencing analysis. The alpha toxin gene (plc) of C. perfringens was identified in six cases. 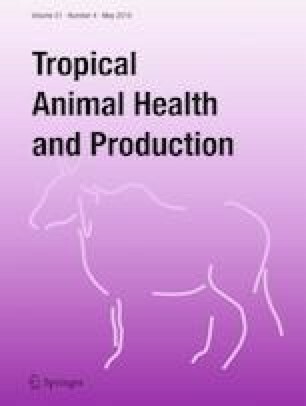 The present investigation highlights the role of clostridial infection as a complication of FMD in cattle and buffalo. This is the first report identifying the C. perfringens toxins from lung of animals with respiratory distress associated with FMD infection. Farm owners approved and signed the informed consent forms for the study. All animal procedures implemented in this study complied with institutional guidlines obtained from ethics committee in Mansoura University, Egypt.